This month I predominantly read books recommended by others, with varying levels of satisfaction. A couple were for online-based book clubs (The Poet X and In Order to Live), a few popped up on Instagram (My Brilliant Friend, The Pursuit of Love, and Sea Prayer), and a couple were newly published continuations of previously read series (Vengeful and The Fall of Gondolin). October was a lighter month than the past few, but by no means a disappointment. The Neapolitan Novels have been on my tbr list for years, but the upcoming release of the HBO adaptation finally pushed me over the edge. 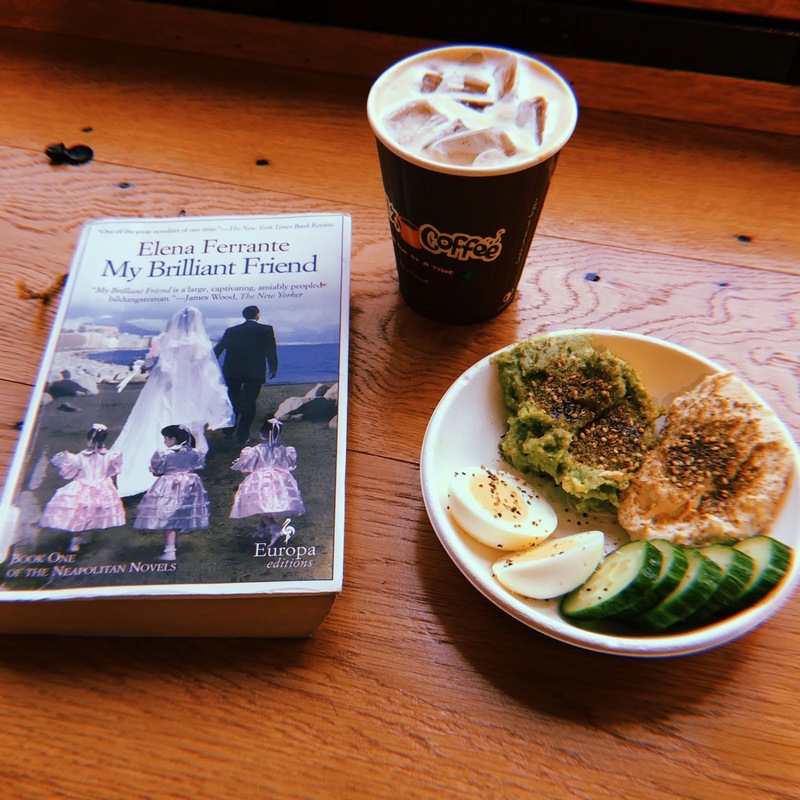 My Brilliant Friend, the first in the quartet, is an often unsettling coming-of-age tale of the friendship between two girls in Naples and how their choices in life define and strain their relationships with each other and the rest of their small community. I think I may have overhyped it in my head as I came away from the story a little disappointed, but I was thoroughly captivated whilst reading it. I'm very over the powered people genre, except for this series. Schwab somehow takes an unoriginal, been-there-done-that concept -- two powered former friends and now enemies who fight each other -- and adds the perfect amount of interesting character depth, tension, and story twists to keep me engaged the whole time, and I'm all over it. The Fall of Gondolin is a recently published extended (from unfinished and previously unpublished notes) account of the sacking of Gondolin that Tolkien had loosely outlined in The Silmarillion. I'm not the biggest Tolkien fan and it's been years since I'd read The Silmarillion, but I still enjoyed this newest published piece as I feel like it stands well on its own. Even so, I wouldn't recommend this to anyone who isn't already at least a little familiar with the broader Middle Earth realm. Sea Prayer, inspired by the death of Alan Kurdi, is a short illustrated book set up like a letter from a father to a son on the eve of their departure from their country in search of a safer place. It's hard to say much about it; it's less a piece to say whether you liked it or not, and more a space to give voice to a dehumanized group of people whose primary concern is finding safety. The recently launched Lily Lit Club, a book club set up by The Lily (the first newspaper by women, now under WaPo) chose The Poet X as their first monthly book selection, and I adored it. The Poet X is a stream of consciousness, told through verse, from the mind of Xiomara, a teenager in Harlem who discovers slam poetry as an emotional outlet. It's a raw, honest look at growing up as a girl, religion being used to abuse and shame people, and the importance of the relationships between parents and their children. It's not a book I would have thought to pick up on my own, but I'm very glad I read it (and the author's a D.C. local, so bonus!). I've seen The Pursuit of Love and its sequel Love in a Cold Climate pop up a couple times on Instagram recently, despite its age. Set in the beginning of WWII, The Pursuit of Love is the lighthearted tale of two cousins looking for Mr. Right and instead finding a slew of dreadful men. Despite its serious setting, the story is fluffy and fun, and it's a easily devourable book for an afternoon. Park, a North Korean escapee, tells the story of her former life in North Korea and the actions she had to take to escape. 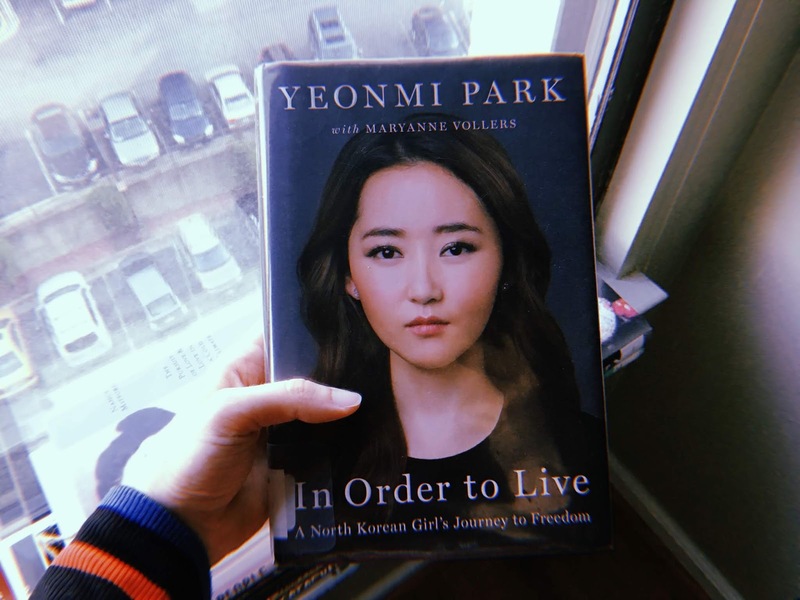 While her story is well worth hearing and she makes a number of eye-opening observations about the state of North Korean refugees in China, I had a hard time staying interested through the whole book due to its exceedingly simple and repetitive language.